The economy is on its knees; the authority of Parliament has been seriously undermined by revelations of sleaze and greed by dishonourable members. 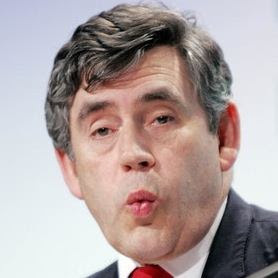 And what is Gordon Brown’s big idea to save the country? He wants the Police to consider walking people the last mile home if they feel unsafe! No wonder Tony Blair didn’t want to let Brown have the top job. It frankly beggars belief that the Prime Minister of our once great country thinks such a ridiculous idea has merit. Of course if this plan ever sees the light of day, the Police won’t be able to carry your shopping for you unless they have been specially trained by Health & Safety officials. Whatever next? A hotline to report cones on the motorway? Please post your comments again without the "F" word. Only mild swearing please! Before you comment that this is barmy you should investigate and find the truth. I live in the area and am aware of several old lady muggings and personally know of one disabled elderly lady who has been mugged three times. Far from being The Nanny State, this is the police doing exactly what they are paid for and maintaining the security of vulnerable people. The way to prevent people being mugged is not to hold their hand on the way home but to allow the police to go and catch criminals. Officers don’t join the force to become glorified babysitters. Brown’s plan is just another stupid gimmick from a government in its death throes.